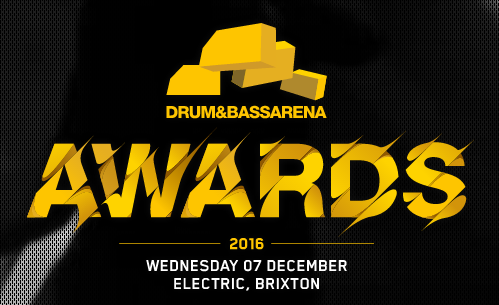 I have few general comments to this year’s DnB Arena Awards, as I wrote some critique last year. You can read it in this article. 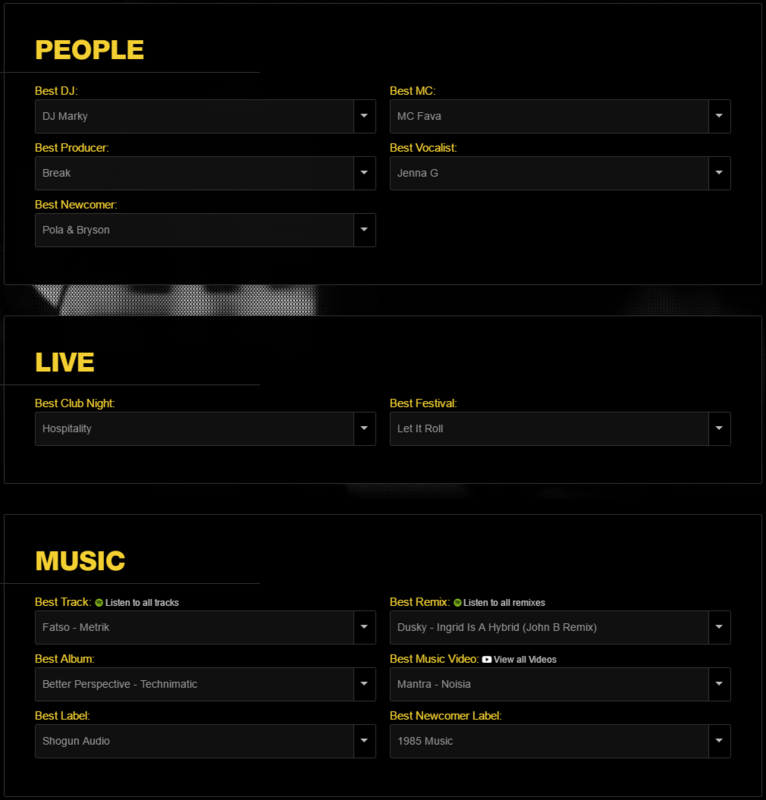 First of all – big up to DnB Arena crew for redesigning newcomer category, leaving just best newcomer artist and label, with precise description, what does it mean to be ‘newcomer’. 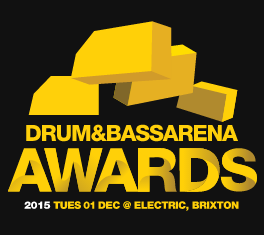 Another thing to notice is that category Best Live Act (stupidly won by Noisia last year) is missing this year. I think it is a good decision. Even though the voting concept of round 1 remains the same (public voting), I have to thanks everybody who voted – this year’s nominees selection is much smarter then last year. Yes, still some serious acts and music are missing, but it is not that crazy like last year. If I was surprised with amount of neuro funk last year, this year it is definitely jump up which is on the rise. Let’s discuss in detail. 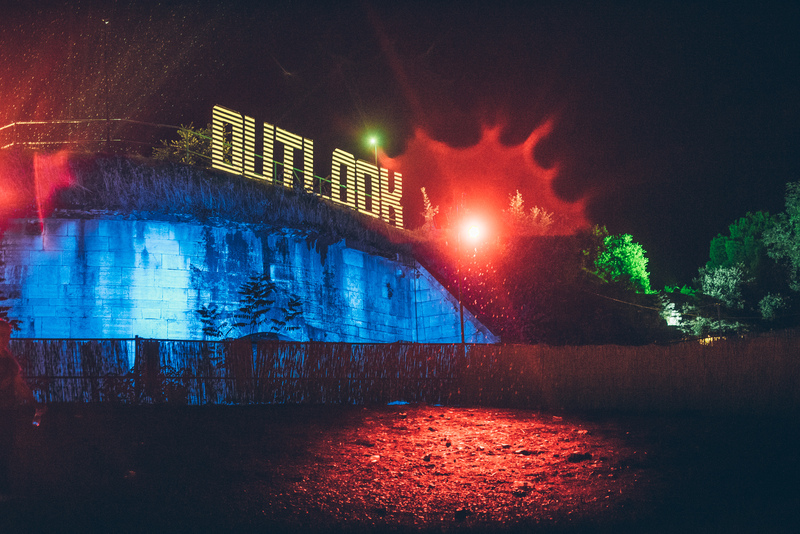 Where are Krakota, Alibi, Technimatic, Utah Jazz, Anile, Ed:It, LSB, Lenzman and many more? This category nominees are little bit disappointment for me. Probably Break is the closest to my heard with his continuous production quality. Wow, this is tough! Dawn Wall, 1991, GLXY, Pola and Bryson. Considering that Dawn Wall is probably not newcomer, but just special collab of DnB veterans (ups I vote them as a newcomer last year ), 1991 did just one (insanely great track – yes cats! ), it is probably Pola and Bryson, who did the biggest effort this year. This is complicated category for me as I generally don’t like MCs. And I’m planning to write article about that… But for now – Fava is the man, I saw him many times this year, and this guy knows what he is doing. And I must really appreciate his collaboration with Utah Jazz and Celsius recordings for delivering two perfect tunes! I like female vocalists, so every year is the same – is it Jenna, or Collette, or Riya. Yes, it is you Jenna, I just love everything what you do! Hospitality continues to deliver high standard club nights with huge portfolio of artists and every time when Tony comes, it just a bonus 😉 Yes they are growing really big, but still there is some spirit of old hospital parties. And I really like idea of first Hospital BBQ in the Park. Oh no, tell me why, so much good music and we have these nominees… I don’t mean they are all bad, but I can name 100 different tracks. LSB, Break, Delta Heavy and Matrik are the options. LSB and his Missing You didn’t beat last year’s The View, from Break I like better second track Give In To Me and I would vote for Delta Heavy’s White Flag as a best music video. So it is you Metrik – fat synths in Fatso! My favorite category. In my eyes there is lot of credit for artist who are releasing albums. 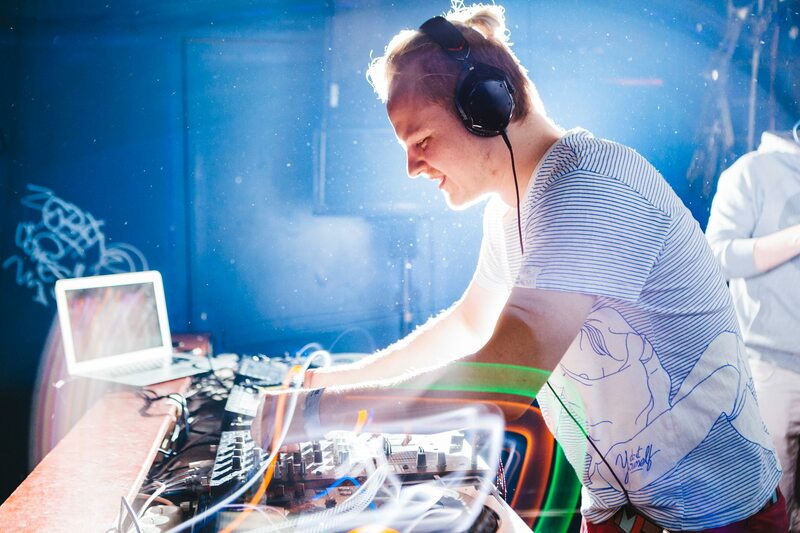 Definitely I’m missing Utah Jazz and Krakota in this list. With no doubt winner are Technimatic. For the next year, I would recommend to introduce ‘Best EP’ category. It is not easy, really. I like almost every label from the list, I treasure their efford to push DnB forward. Vote for one label means don’t vote for the others.But this year I found extraordinary amount of interesting releases on Shogun Audio, so this is my choice. Keep up with great job! Uff, pretty heavy line up. Thans DnB Arena for linking Spotify list (pretty smart) since I didn’t know almost every remix, shame. And I have discovered amazing remix by miste John B, this is my winer. Without detail commentary, Noisia music suits me this kind of video and I follow the message they are trying to send to the world. I was hoping to see Soul Trader Records on the final list. With these nominees it is hard to decide between Lenzman’s The North Quarter and Alix Perez’s 1985 Music. I believe Lenzman will attack next year, so I vote for 1985 Music.